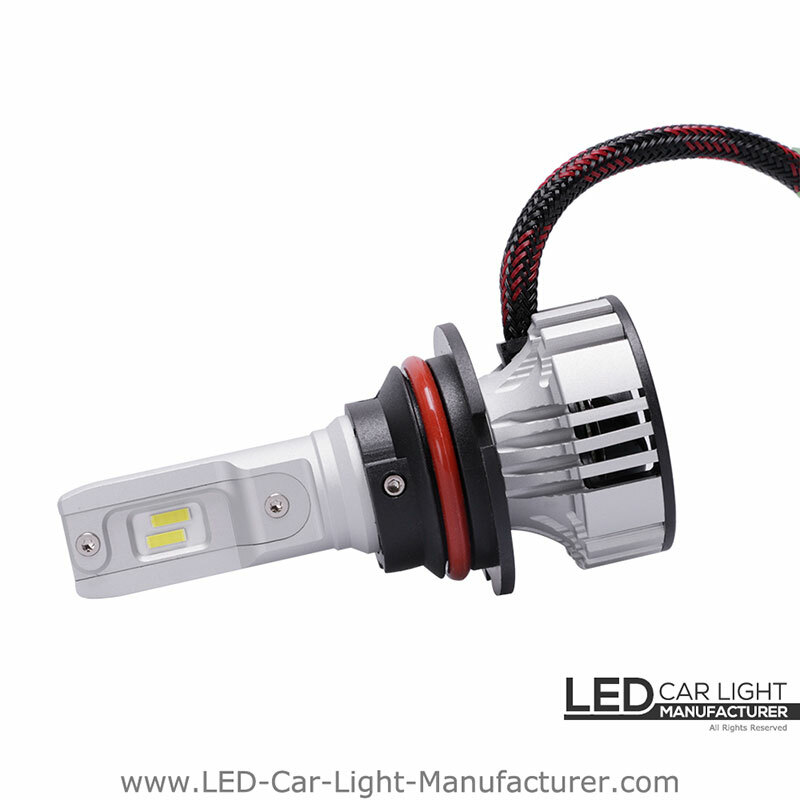 The 9007 led headlight bulb has 2.5mm Super slim PCB board between two sides of leds, almost equivalent to the filament width of factory halogen bulb, which is 2mm. 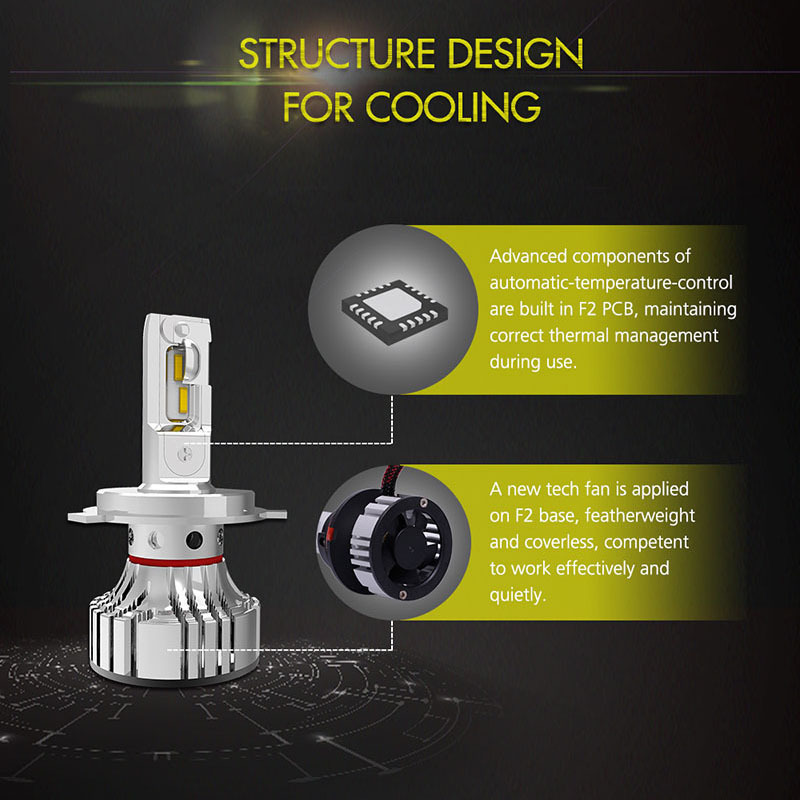 The F2 base features a high-power fan providing adequate cooling to LEDs for constantly producing high-intensity lighting. 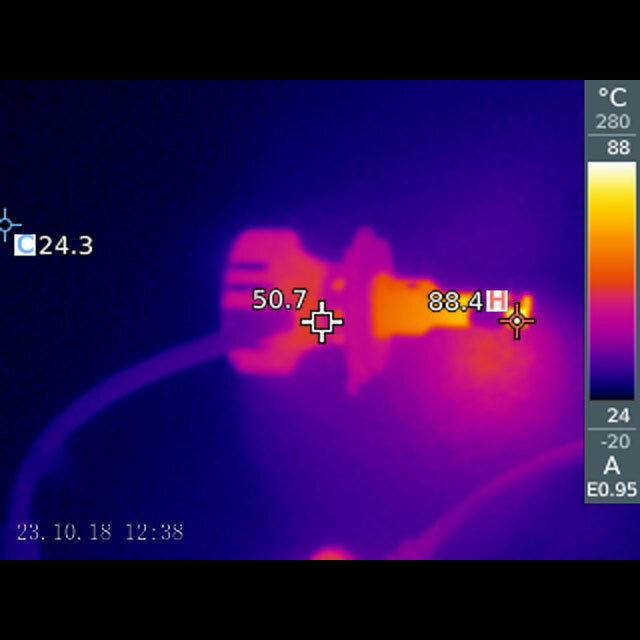 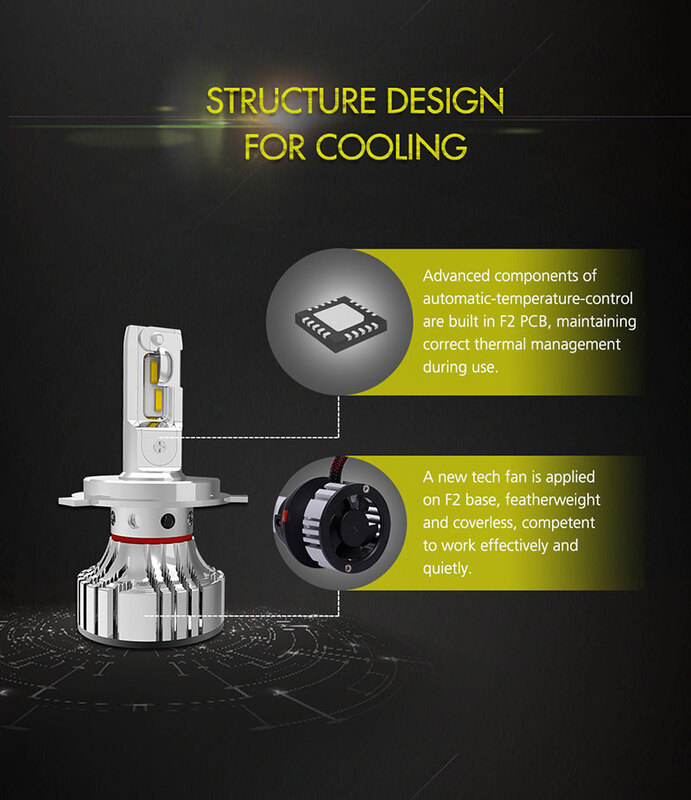 Thermal management is the key to a high-performing, long-lasting LED unit. 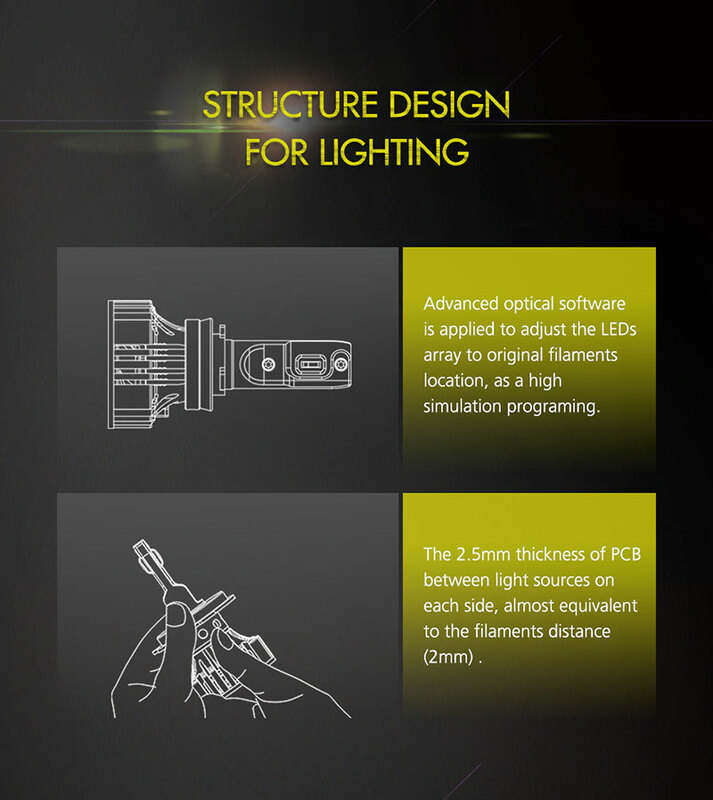 Most LEDs are big and have no hotspot in beam pattern. 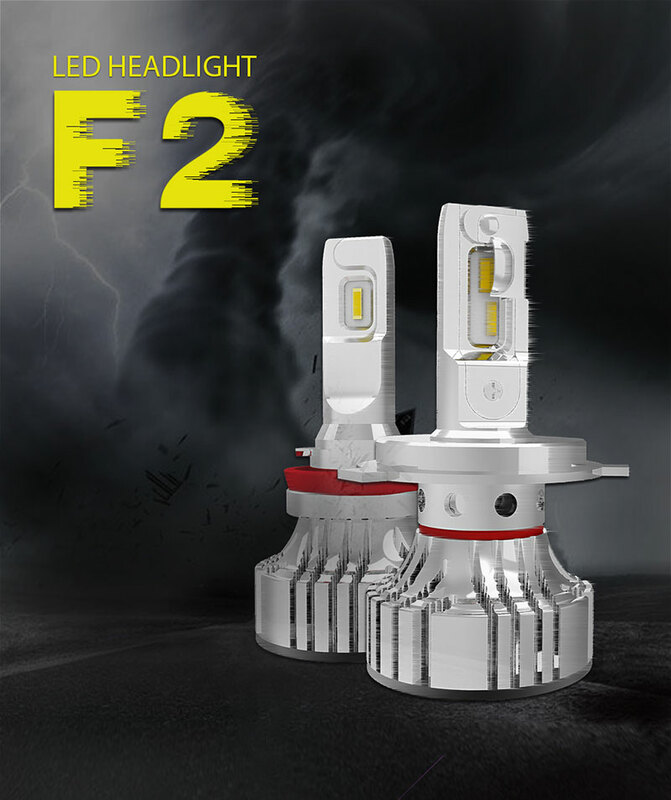 F2 9007 led headlight is just a little different. 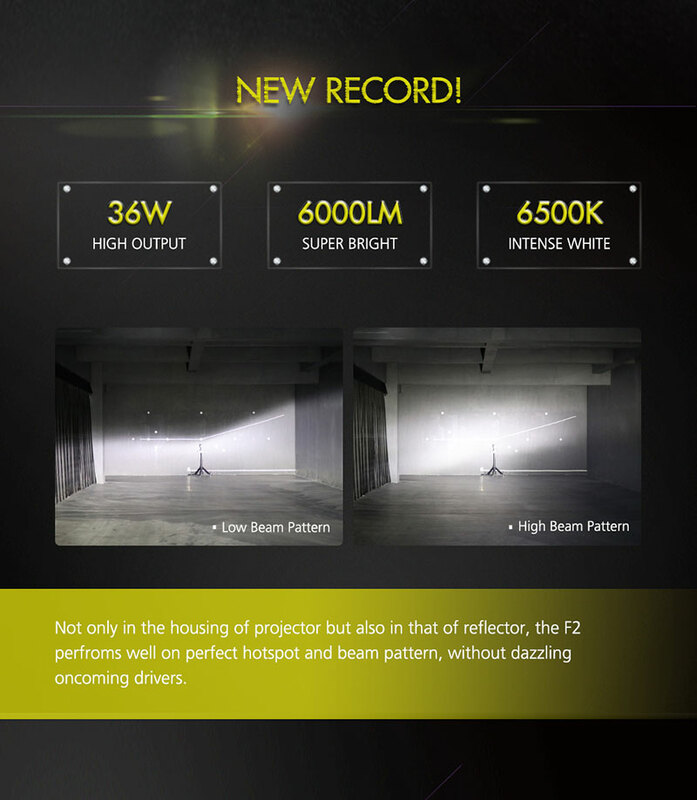 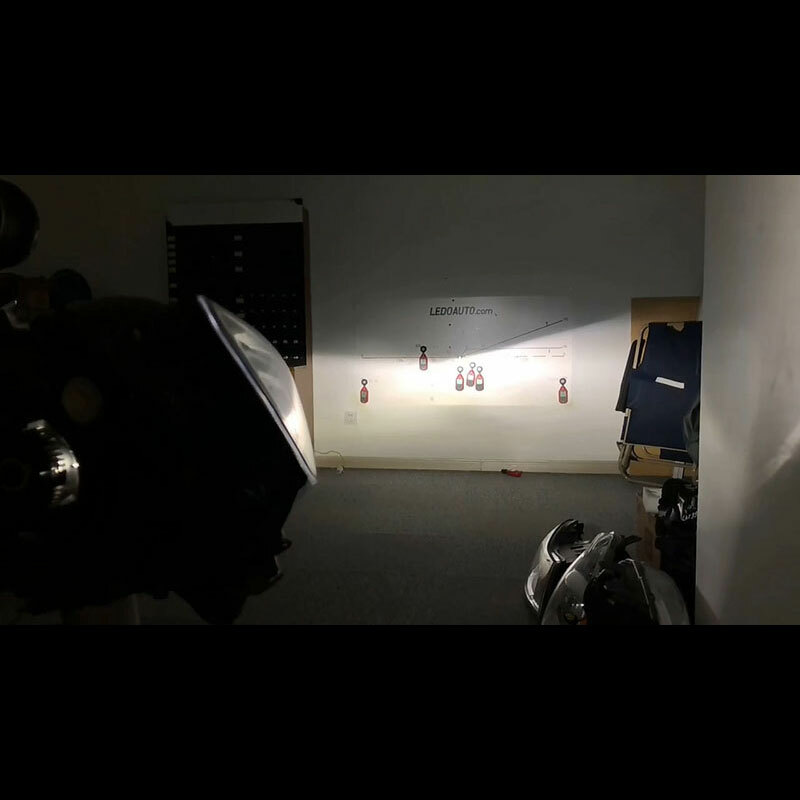 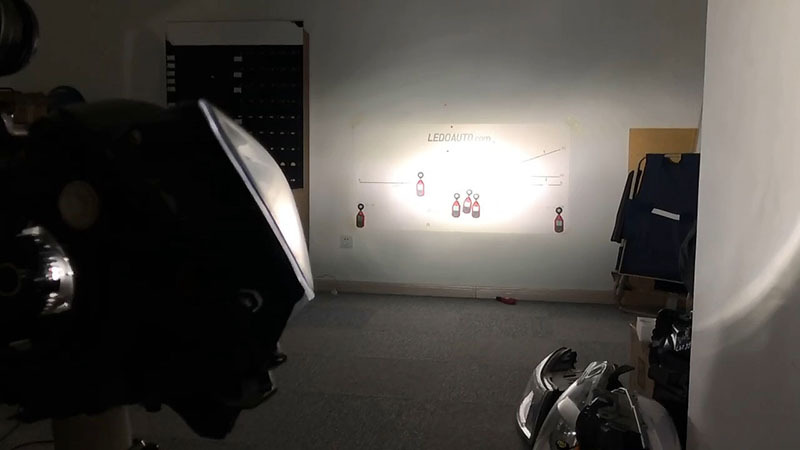 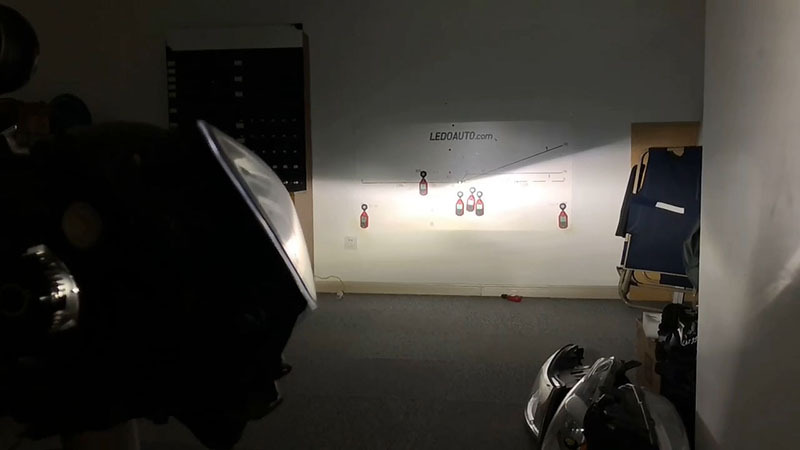 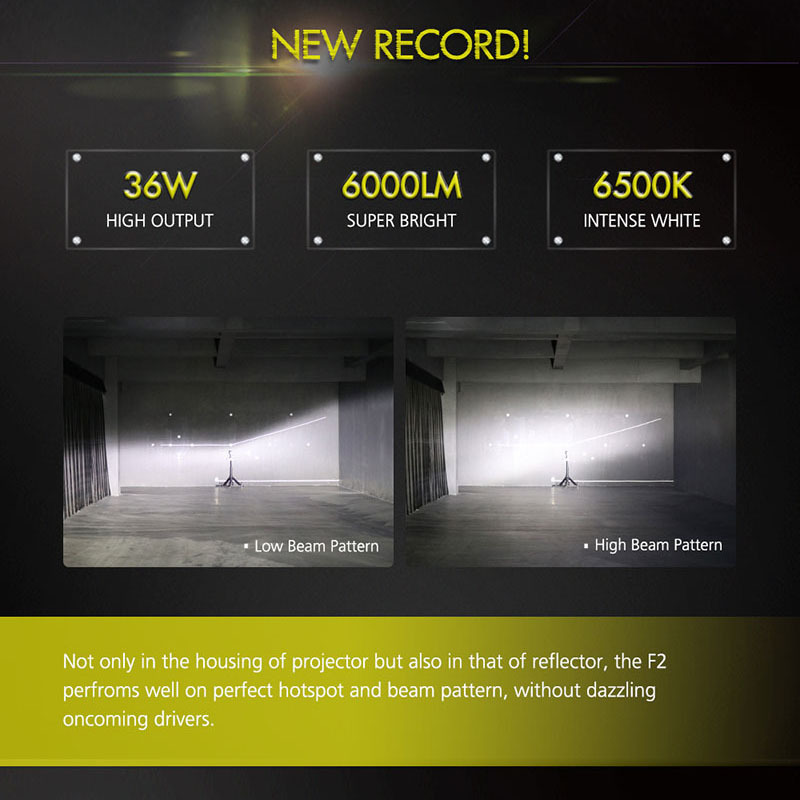 It provides optically correct output and shines more light in the hotspot when installing in reflector as well as projector, 200% brighter than the halogen bulb. 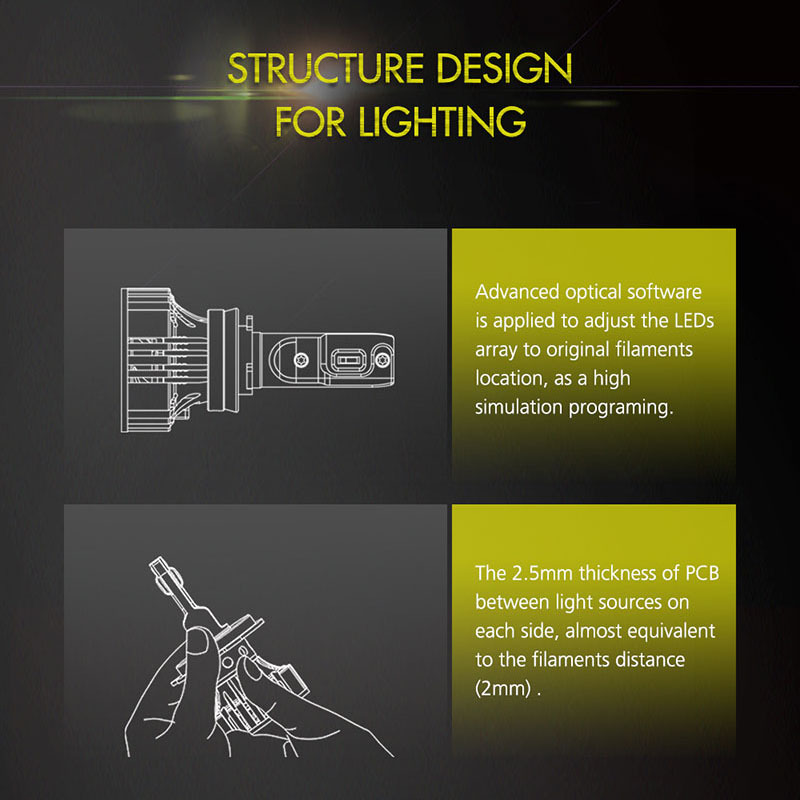 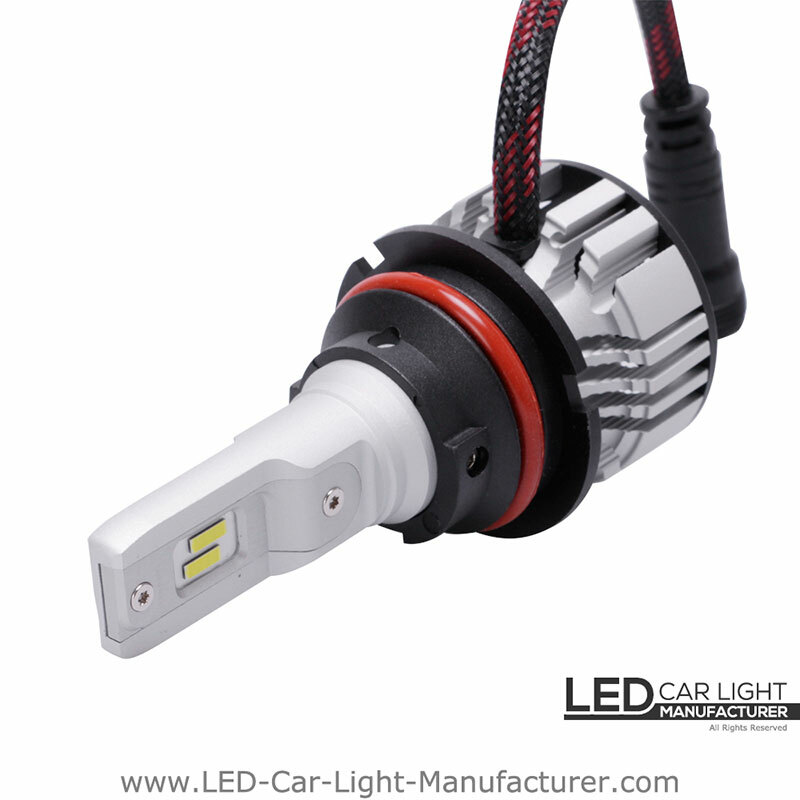 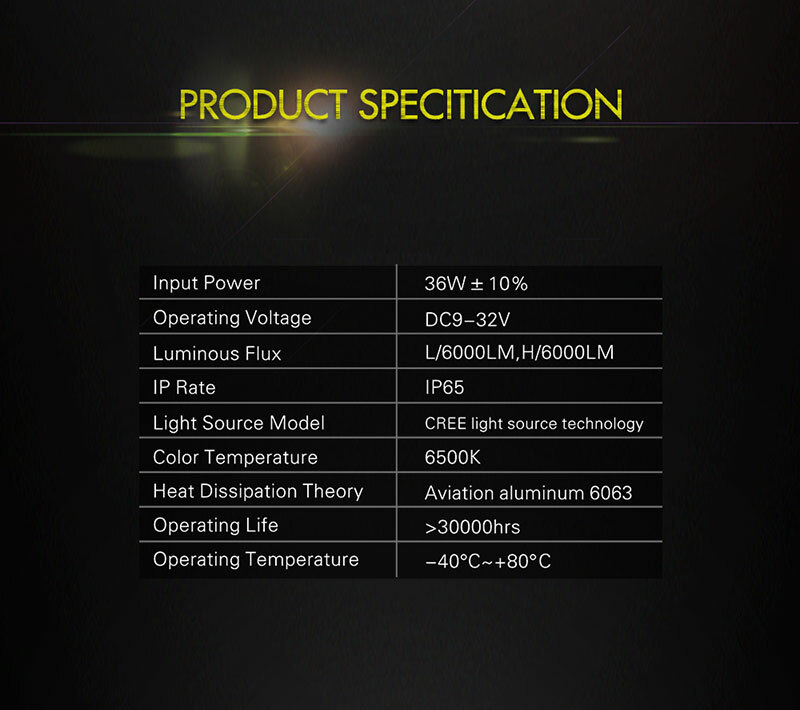 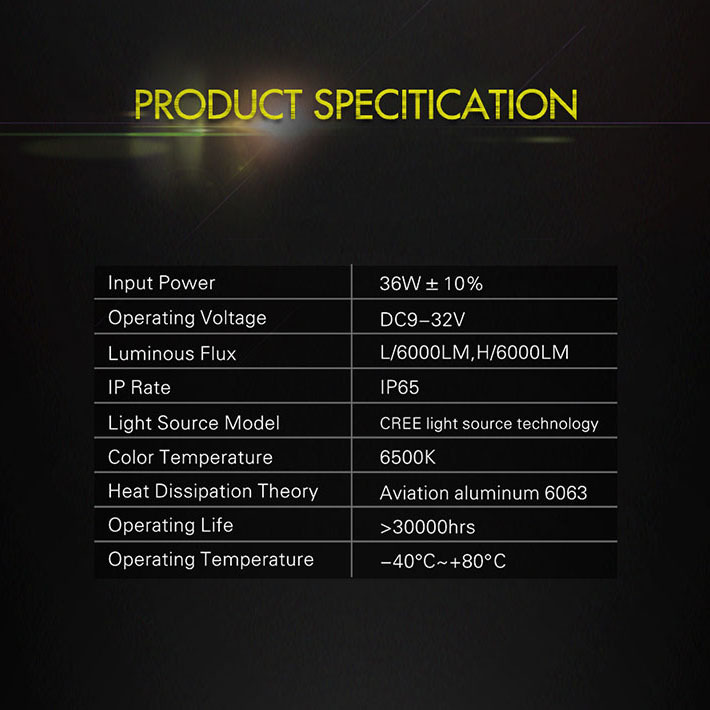 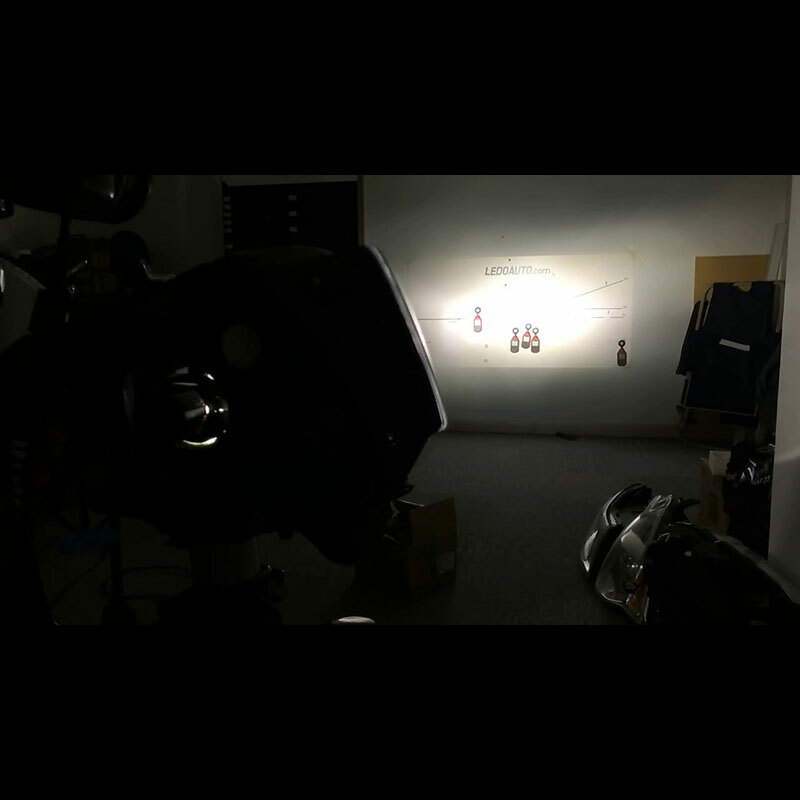 The Cree LED Light source emits in a true white 6500 K color temperature, for a modern and OEM-style LED appearance. 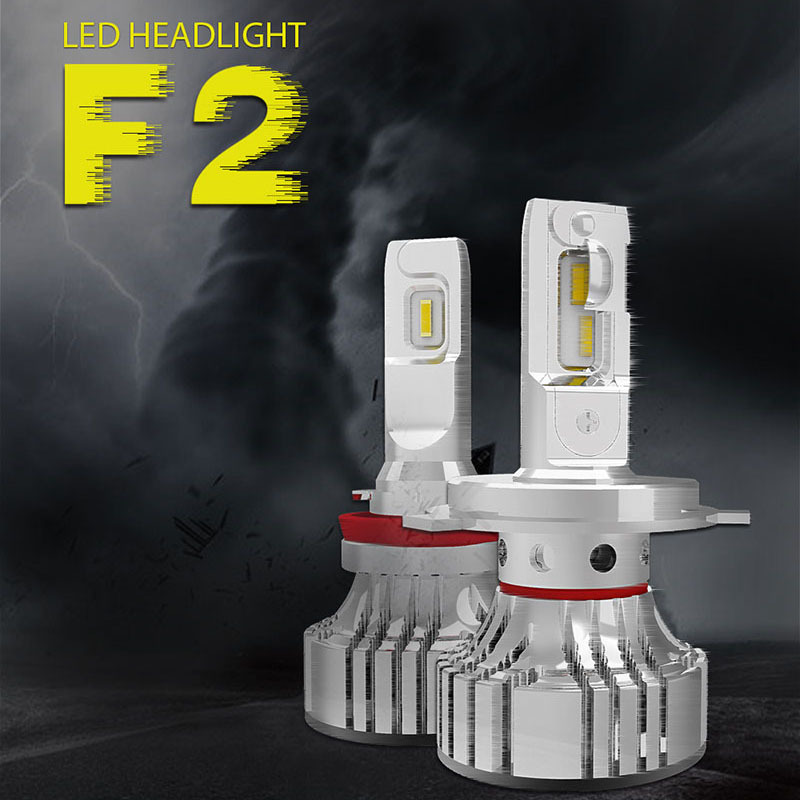 The F2 9007 led headlight was designed with turbo ball bearing fans, which can reach 12000 RPM counterclockwise and effectively prevents thermal imbalance in the LEDs or circuit board; protect the light source for long life. 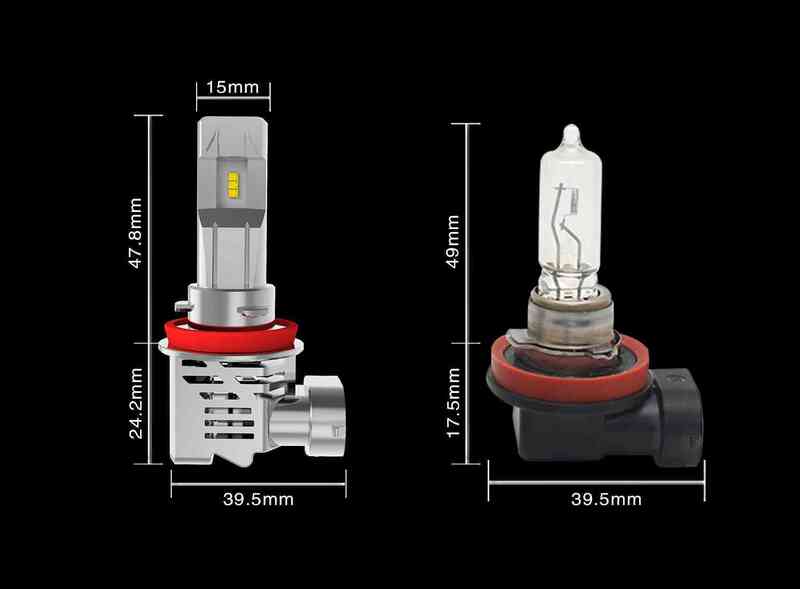 And the small bulb size can be installed behind the dust caps.